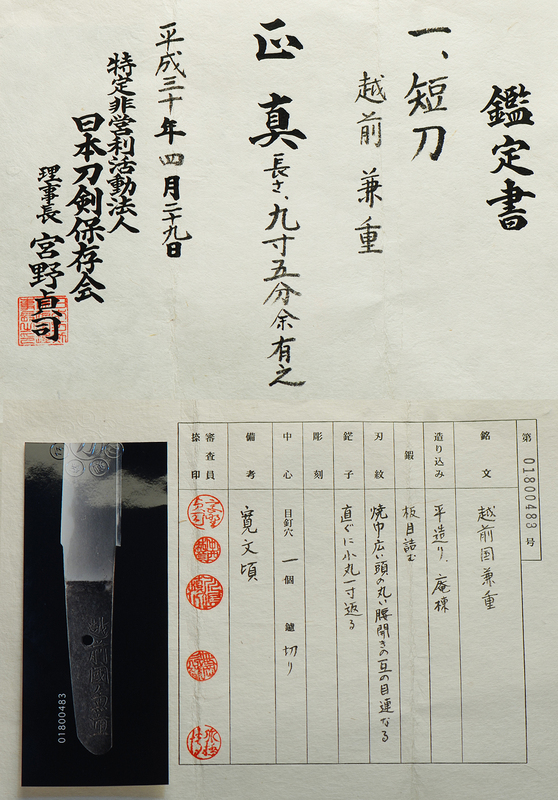 Echizen Kaneshige was a member of the Echizen Seki school. 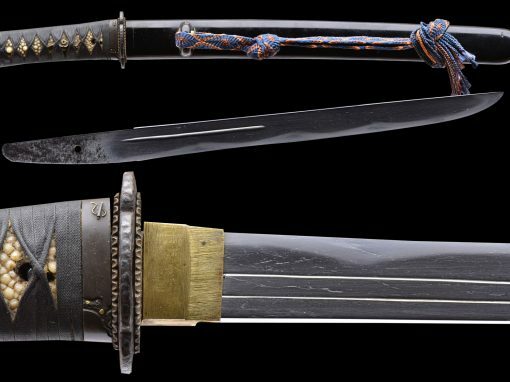 He was one of many swordsmiths who moved to Echizen province from Seki in Mino province around the middle of the 17th century. 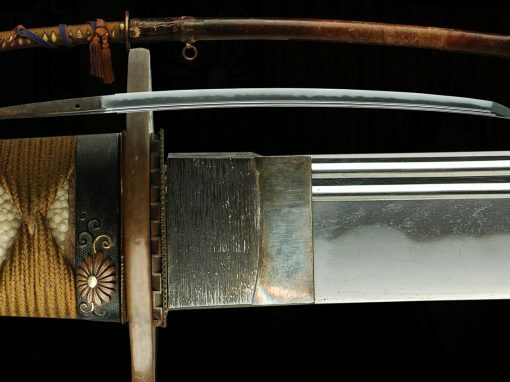 They were most active during the years 1658 through 1680. 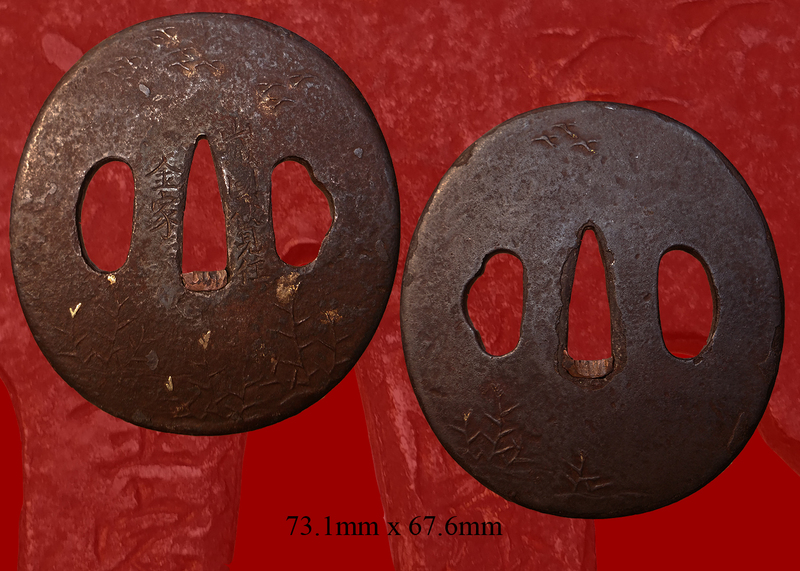 They worked in what we call the Shinto tokuden tradition that was fashionable at the time, as well as their original Mino tradition. 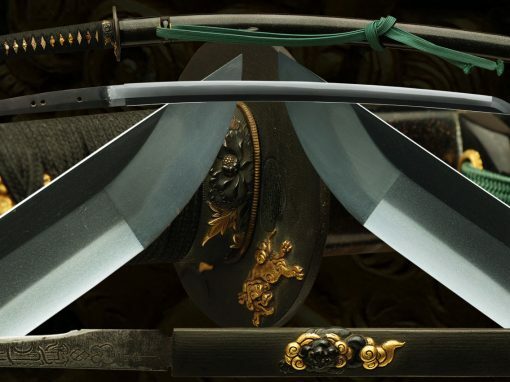 Besides Kaneshige, the following smiths are classified as being part of the Echizen Seki school.Shigetaka,Kanenaka,Kanetane,Kanenori, Kanenori, Kanemasa, Kanetoshi, Kanetaka, Hirotaka, Yoshitane, and Kanenori. 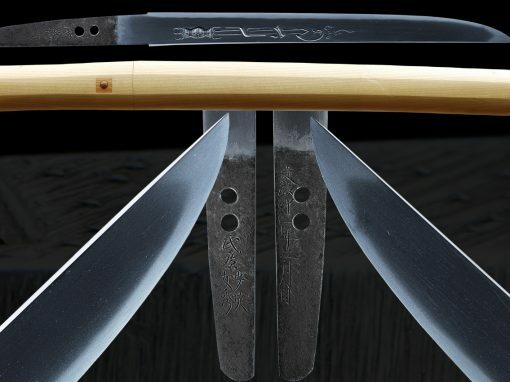 This is a very nice well forged tanto in the Echizen style. 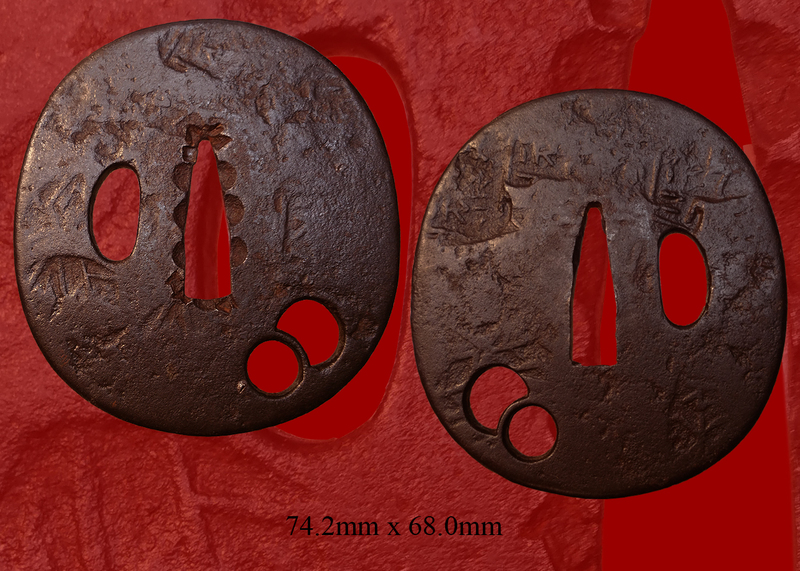 It is ubu with one mekugi-ana. 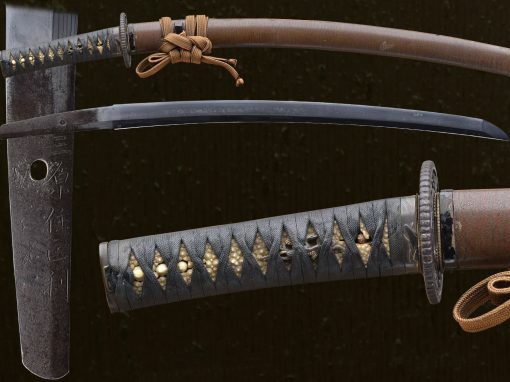 the sword is in a very nice older polish with some slight staining. 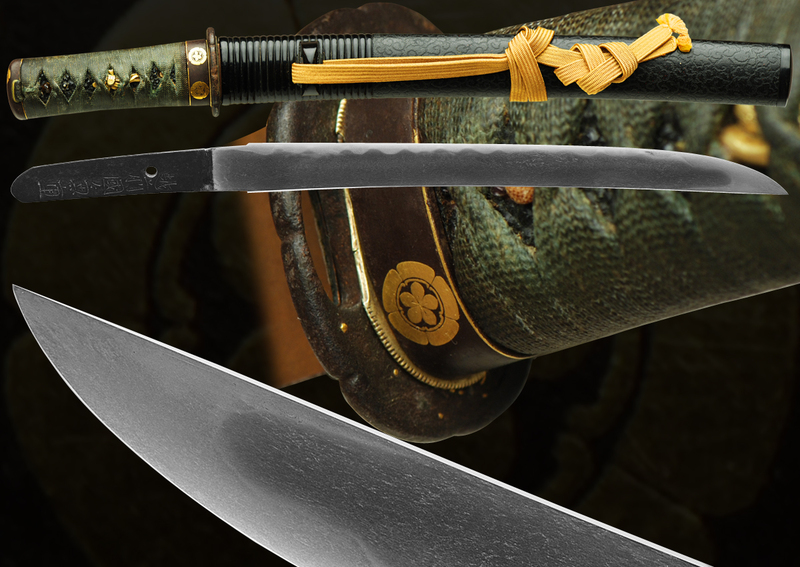 The hamon is gunome midare with a notarish feel. 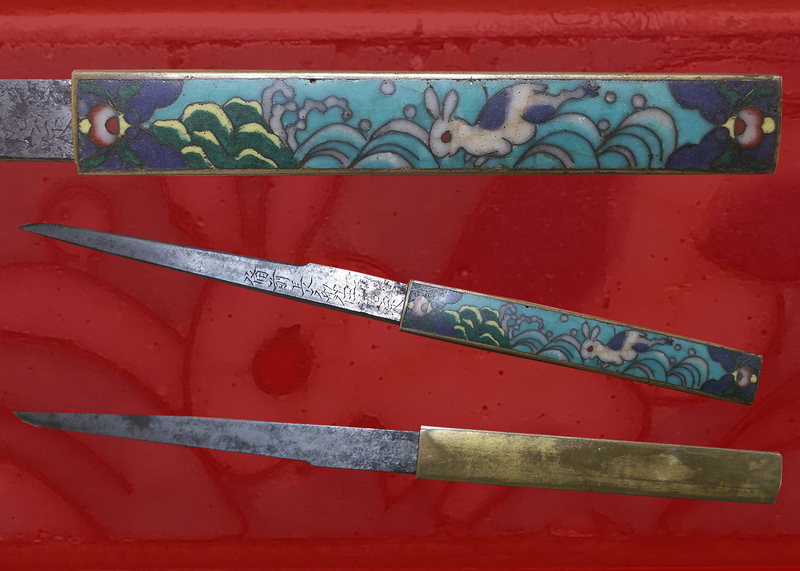 The hada is an itame mokume blend with lots of chikei and ji-nie abounds. 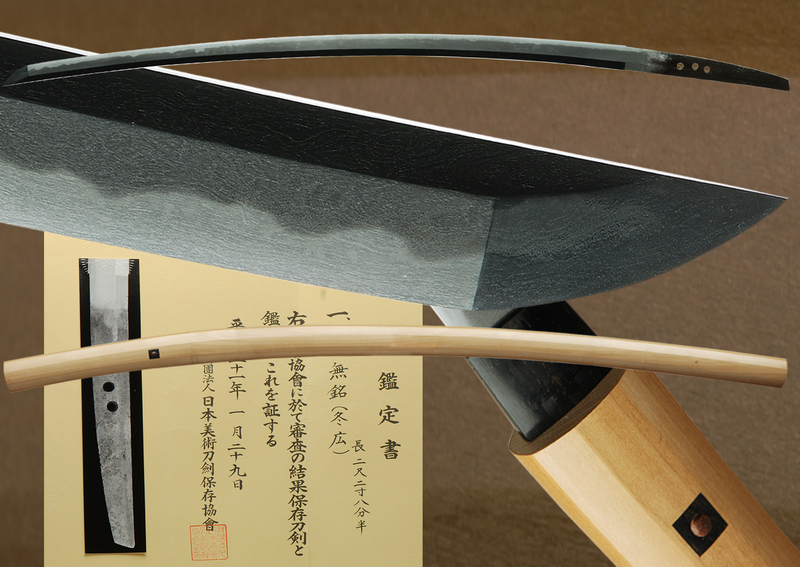 The boshi is maru with a longish turnback.A fine example of an Echizen smith at the pinnacle of his work. 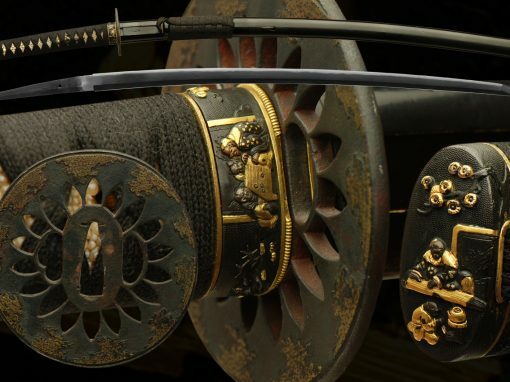 During the Momoyama period, it was Toyotomi Hideyoshi who sent Tokugawa Ieyasu’s son Hidetada, to govern Echizen province. 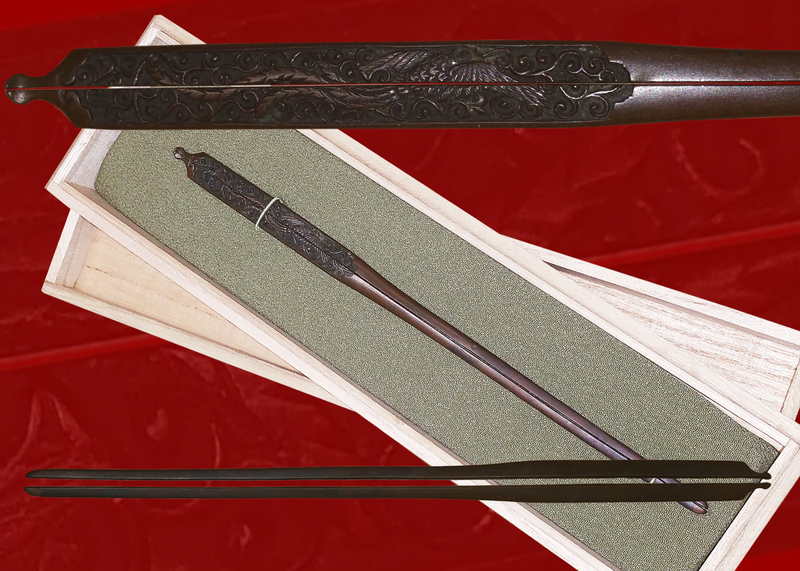 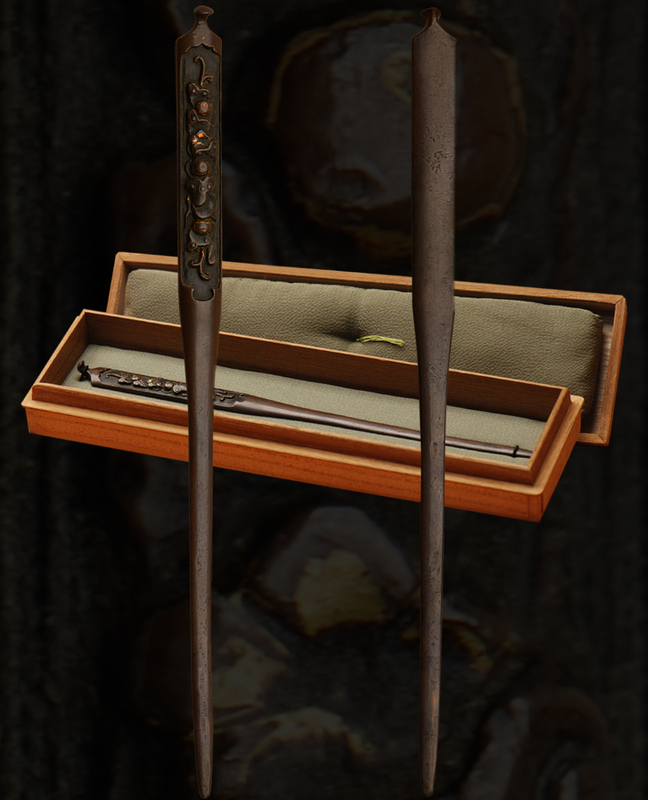 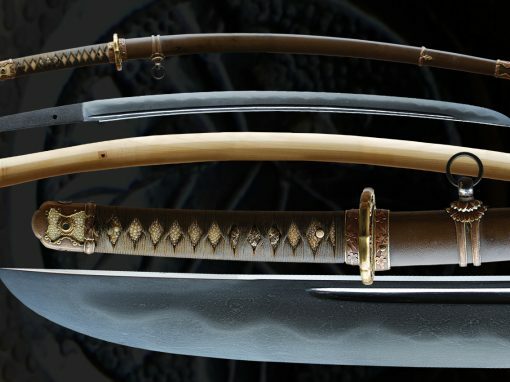 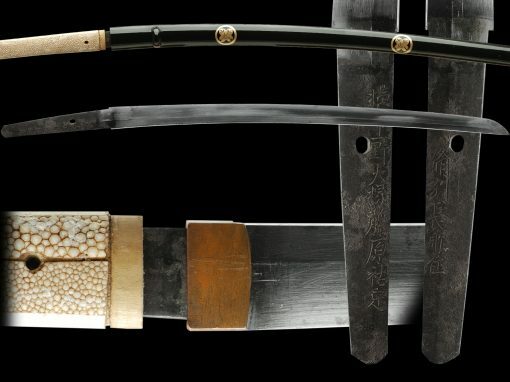 It is sometimes seen as a banishment rather than any kind of reward, the main object of which was to dilute or fragment the ever-growing power and influence of the Tokugawa.However, it was this branch of the family, called the Matsudaira, which attracted many swordsmiths and tsuba makers. 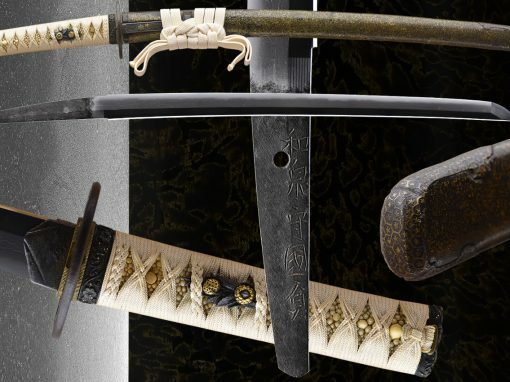 As the country settled down after the Senogoku-jidai and swordsmiths sought patronage, many moved to the great martial provinces. 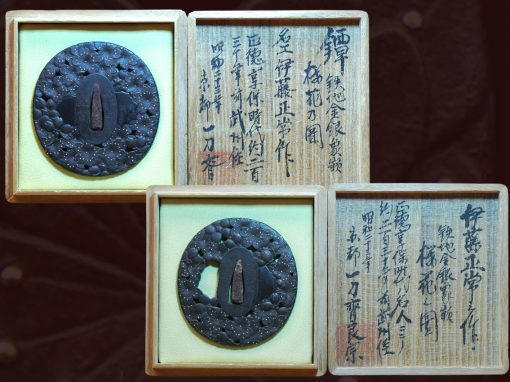 Principally, swordsmiths going to Echizen were from Seki in Mino province who became known as the Echizen-Seki school and the Kinai were skilled tsuba makers and carvers of horimono. 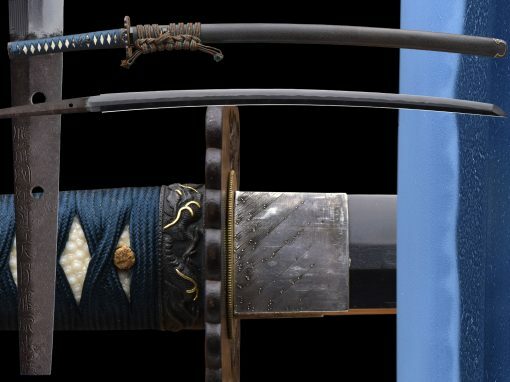 A well established family of swordsmith, headed by a certain Hironaga, hailed from Sakata-gun, Shimosaka in Omi province and they relocated to Echizen at this time. 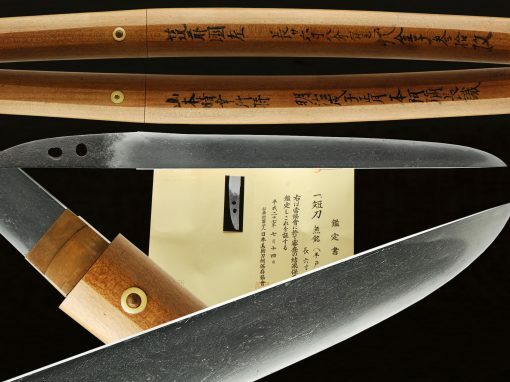 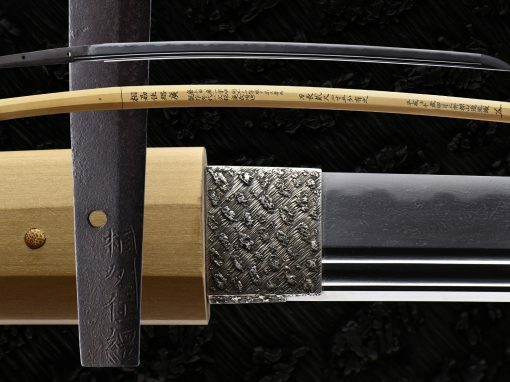 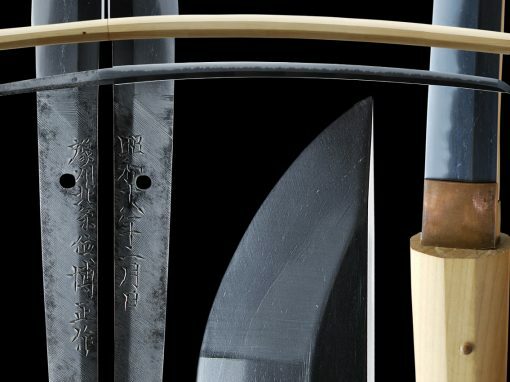 Initially, the leading swordsmith signed as “Higo Daijo Shimosaka” and later as Yasutsugu. 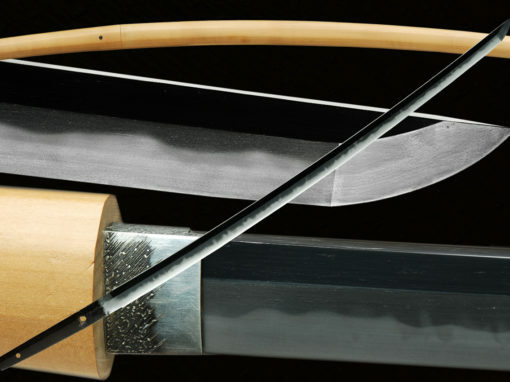 The koshirae of this tanto is quite nice and make a great package. 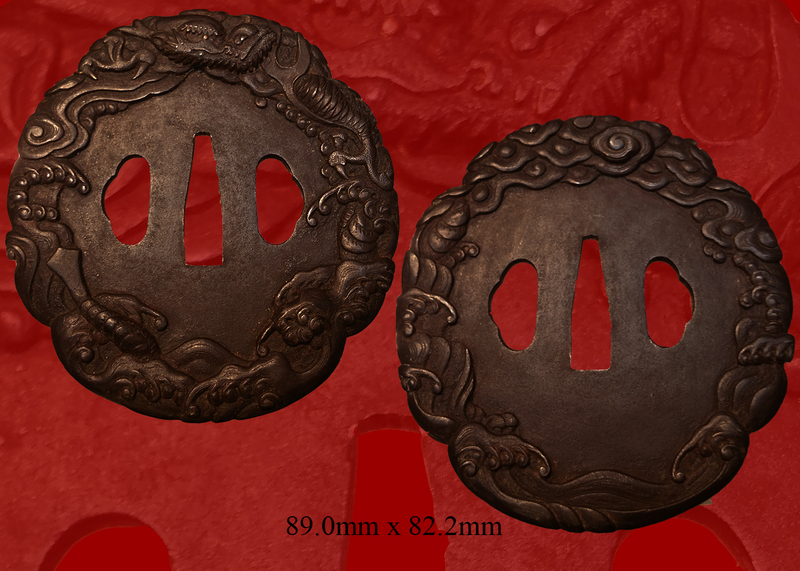 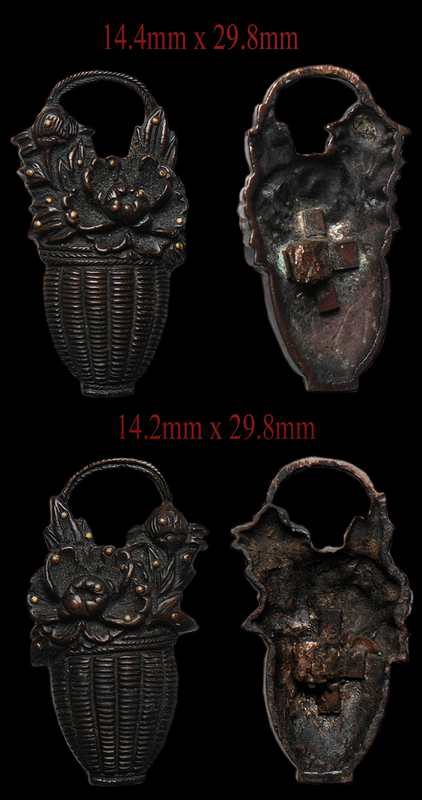 The fuchi / kashira are of a mon motif. 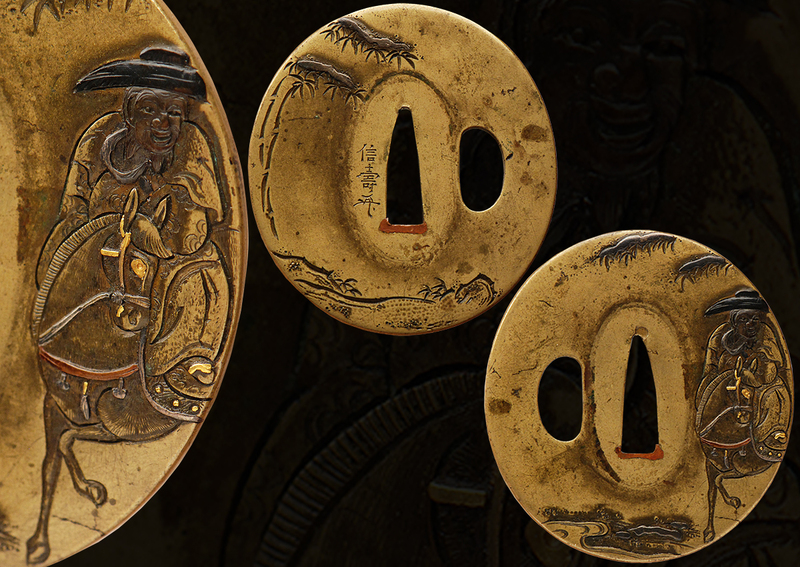 The menuki are of a floral design. 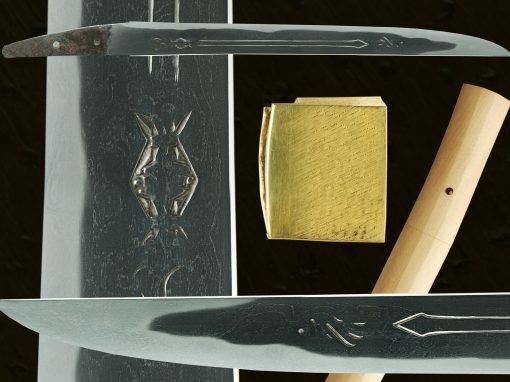 The tsuka-ito is green to match the green swirling cloud design lacquer. 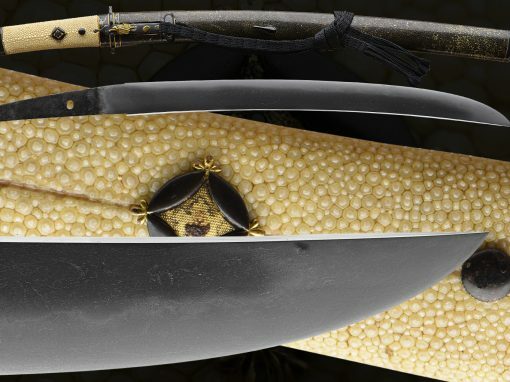 it is ribbed to start. 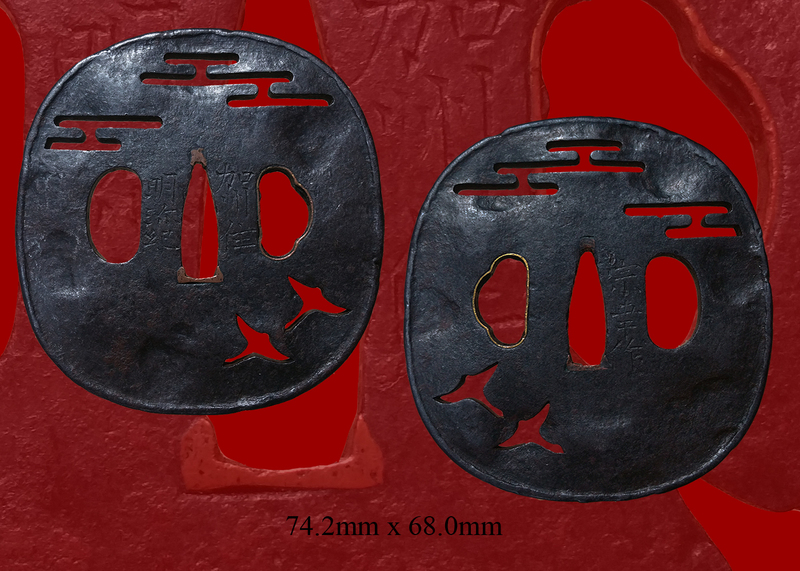 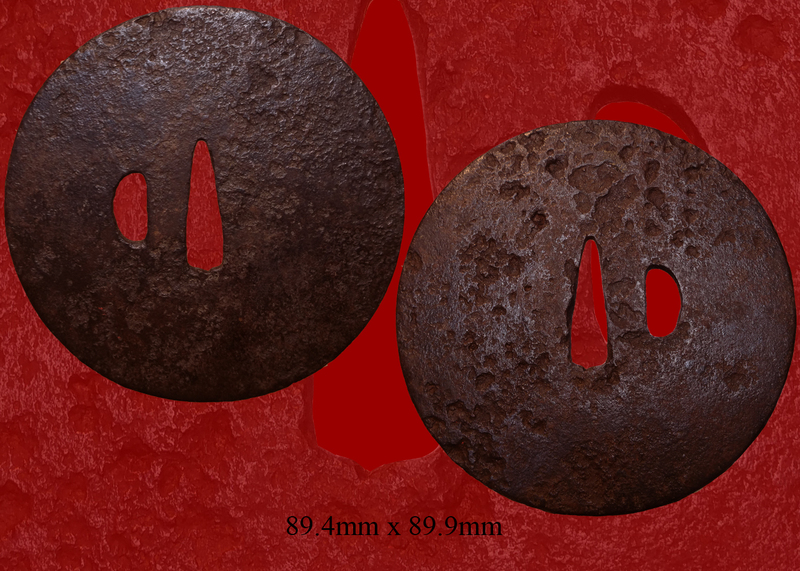 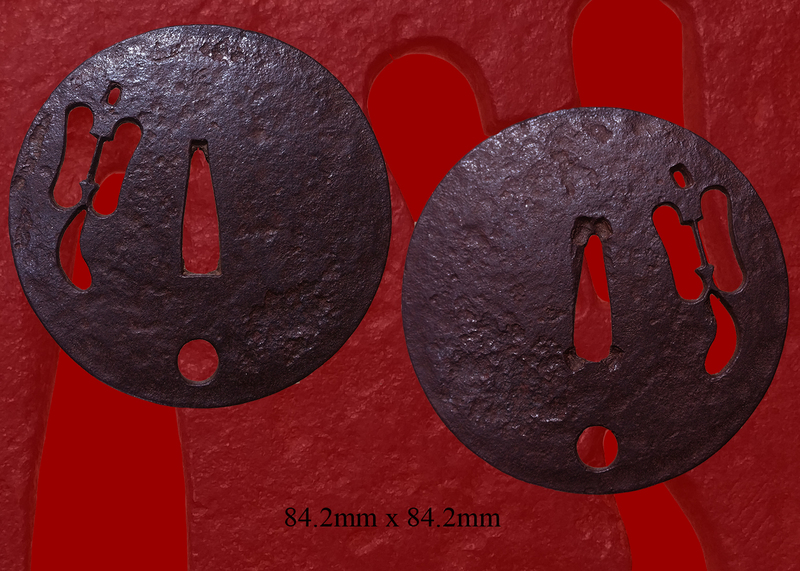 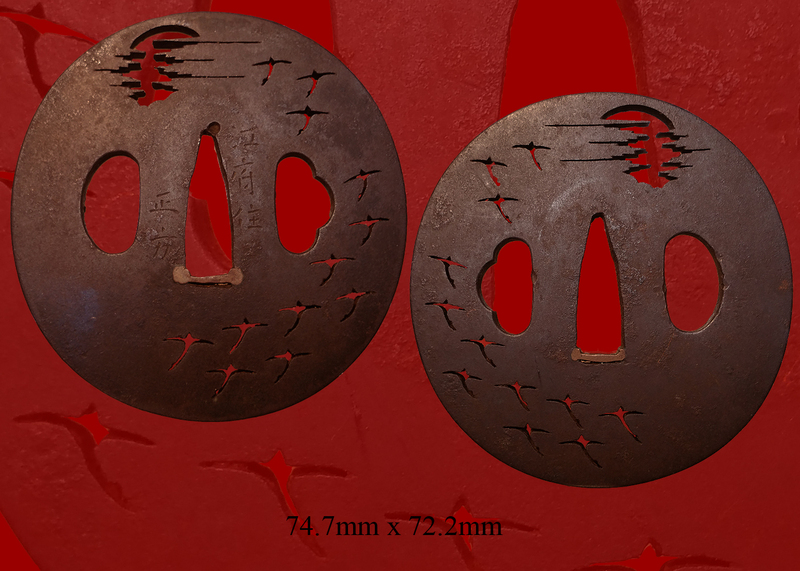 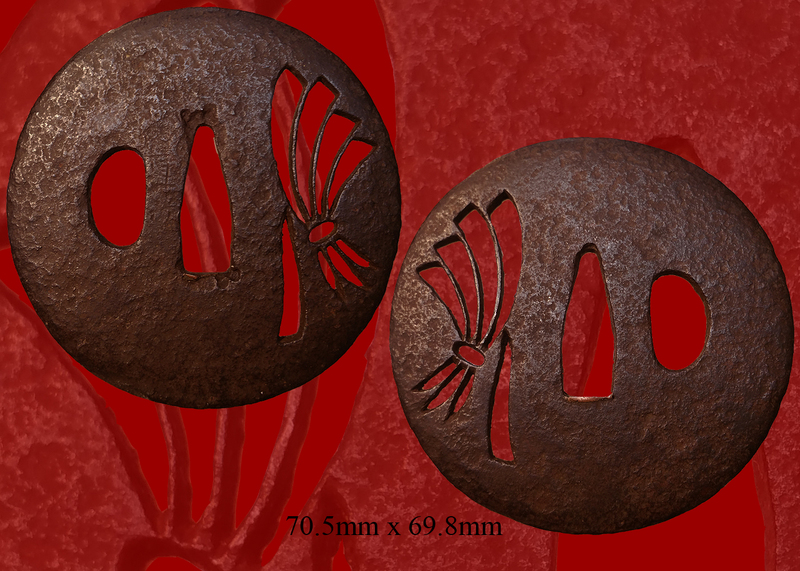 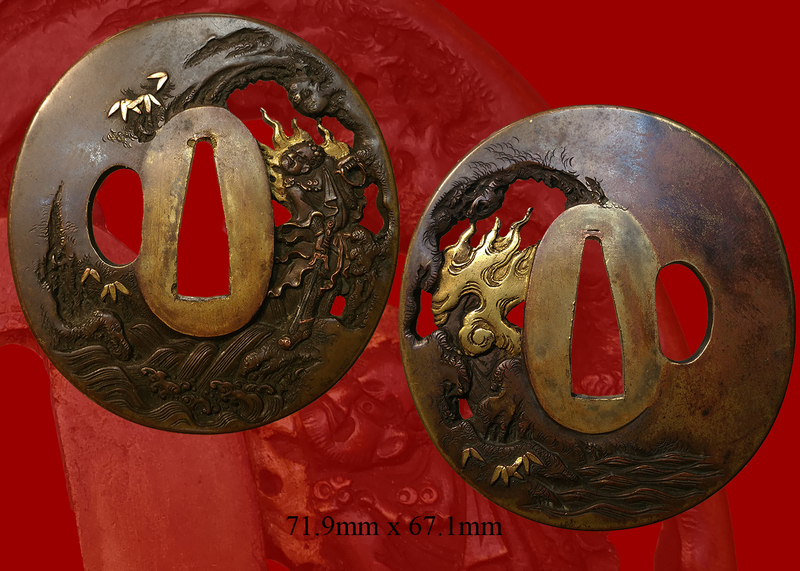 The tsuba is of iron with gold dots representing the stars. 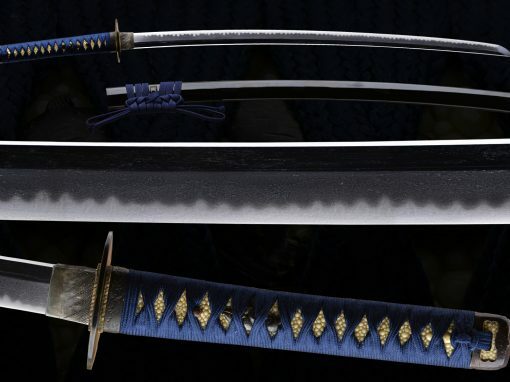 the same(rayskin)m is black and there is a gold sageo. 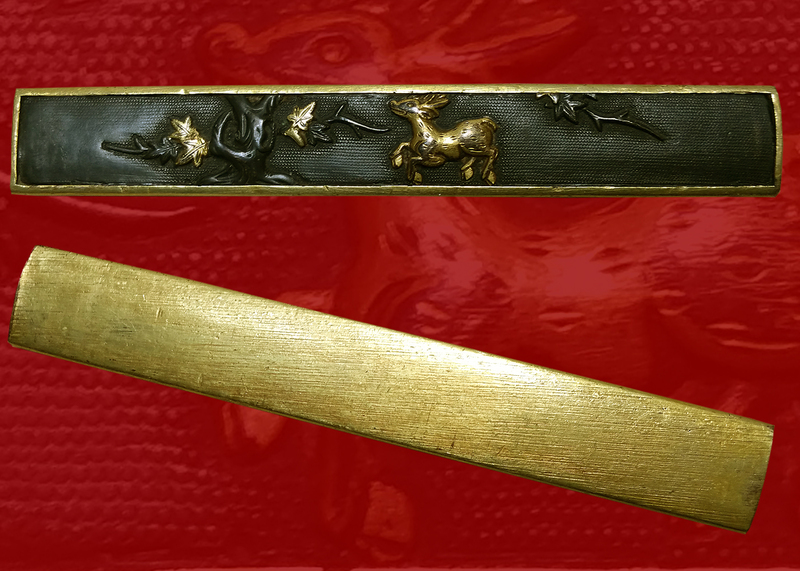 A wonderful set of mounts. 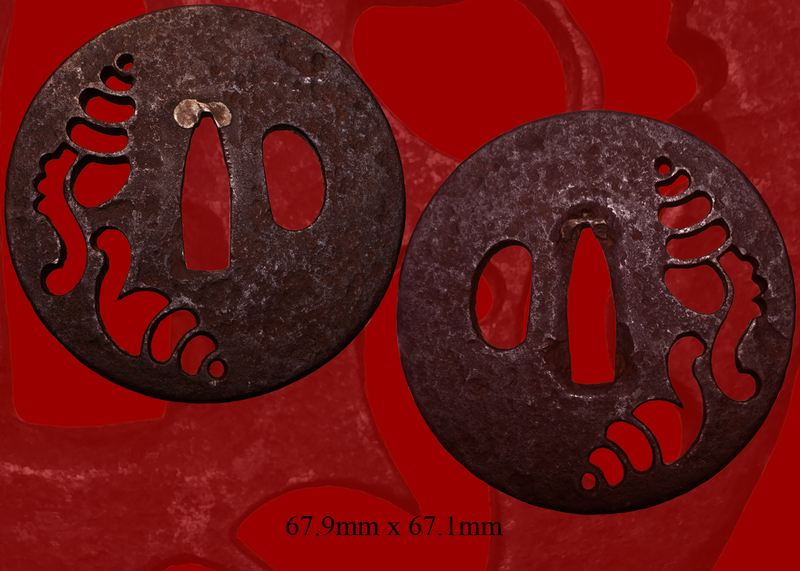 Email us if your interested in this item and remember to include the order number for this item: fss-807.